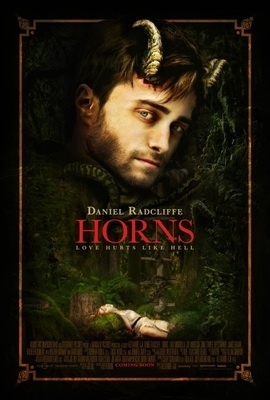 This morning I learned that the movie adaption of “Horns” is available as a limited release before it hits the theaters. Is this a sign of a bad movie or a very good marketing ploy? I decided to find out. There’s a scene in which a character goes on a very bad trip after swallowing a plate full of pills and snorting a bag of coke. His mind races between several disturbing images, climaxing with his body being pulled into a nasty forest. This sums up Alexandre Aja’s adaptation of Joe Hill’s novel “Horns”. We all know movie adaptations often deviate from the novel that it’s based on. Given time constraints it is never surprising when changes occur; characters and events are cut out, etc. As book /movie lovers we accept this. Oh we may grumble here and there at minor changes, but overall we accept that what we read may not be what we see. What we should not accept is a director rewriting the plot. It is unforgivable that a director would decide that the original material is not good enough to sell. This is exactly what what Aja has done. He has taken a really good book and turned it into sludge. I couldn’t tell if what I was watching was supposed to be a dark comedy or a campy horror movie. I have a sneaky suspicion even Aja could decide which it should be. The results are disastrous. For those of you unfamiliar with Horns, here is a review I wrote after reading it for a second time. In short, it is an intellectual horror story that begs the question, “At what point do we become the person others expect us to be?” To sum it up, Ig Perrish is accused of murdering his girlfriend after several witness see them fight on the night of her murder but there is no proof. For this Ig is carries around the stigma of murderer. After a night of heavy drinking he wakes up to find he has grown horns. As the story progresses Ig must decide how he is going to cope with his devilish problem. His moral dilemma is deciding what kind of person he truly is. The novel centers on Ig and the psychological damage inflicted on him by others. We watch as Ig tries to navigate through personal trauma. We sympathize with Ig and come to understand his emotional move from numbness to blind rage. The movie centers on Ig’s transition and his use of it in order to find his beloved’s killer. There is not a lot of sympathy with this Ig, as he seems all to happy to embrace his situation, and uses his new powers, not because he feels pushed to do so, but because he takes joy in hurting others. Sometimes the written word does not translate well into spoken dialog. This is never truer than with Horns. In the novel the scenes in which the towns people interact with Ig are creepy and lased with malicious undertones. In the movie these same lines are played for laughs. It does not help that several of the secondary actors are so bad that their lines feel forced, as if they cannot believe what they have to say. What could have been truly ugly and horrifying came across as campy at best, and worst, I’d say this movie would be a Razzies winner. Aja has Ig narrate several of the scenes, as if as he is unsure of himself as a director. At the beginning of the movie he has Ig set the plot, as if the movie audience would be too dumb to figure out the movie’s subtle theme; st least in the book the theme is subtle. Ig’s transition from outcast to devil is not always clear, yet we know the change is happening. I don’t know why Aja bothered with narration. In his version it is very obvious what is happening as the movie goes from an odd murder mystery to a very campy horror story. They say the devils in the details, but Aja doesn’t bother with details. His way of storytelling is to hit his audience over the head with obvious plot points by over use of dialog and gore. The body count in Aja’s movie is high, the deaths are unnecessary and implies that the director was out for blood. The ending is absurd and so thick with religious imagery I wouldn’t have been shocked to see God come down and point his finger at the killer. This illustrates Aja’s limited understanding of the novel. That Joe Hill seems happy with the movie is surprising. Sorry Joe, stick a pitchfork in this turkey, it’s done. If you read the book, don’t bother seeing this mess of a movie, but if you like campy cheesy horror movies, movies that make you laugh at inappropriate places, by all means watch the movie. It may be one of the best cheesy movies you’ll ever see. I remember the day back in 1977 when, after waking up with female pains, I decided to stay home from school. Since I wasn’t sick enough to stay in bed, I got dressed and shuffled down the hall into our living room, hoping to find a book to read. Though my parents valued reading they had an odd aversion to keeping books in the house. Once read they vanished mysteriously as they had appeared. as if praying to the book gods that I’d find something of worth. As much as my parents hated cluttered bookshelves there was something they liked more; good deals. My mother had recently enrolled in the Double Day Book of the Month Club after convincing my father it would be a good deal. The hardbacks were priced cheaper than at the local grocery store (this was the era before big box book stores) and more importantly they came mailed right to your door! Once a month you either mailed them a card with your selection or they mailed you their selection of the month. My mother loved this because she saw it as a chance to have an “expert” pick out a book for her. No one had the heart to explain to her this was the publisher’s way of getting readers hooked on their brand, their authors. My mother must have been behind on her club reads because there were five books sitting on the shelf, two of which were horror books. My mother had just recently started to read horror fiction. I think she really liked John Saul at the time. I read the dust jacket for both. They were eerily similar. I had no idea then, but Burnt Offerings was an inspiration for Stephen King. I didn’t know which one to choose, so I chose the one in my left hand. I put the Marasco book back on the shelf and headed to the couch with King’s book in hand. It wasn’t so much the story, though it was good, it was the way in which the author wrote! He did something I had never seen before; he put his main character’s innermost thoughts in brackets. I was completely hooked. The story was good, the character of Jack Torrance was compelling. I waved vaguely to my mother as she left for the day and read. And read and read and read. When she came home at 3:30 I was still sitting there reading. I sat there until I finished the book. No I didn’t want dinner, no I hadn’t eaten all day and yes, I would be finished soon. This would be how it was with me every time I read a Stephen King book. As an adult I knew myself well enough to make sure my chores were finished before picking up one of his books. In 1990 I read the extended version of The Stand in 9 hours, after doing laundry and cleaning the house. Once I am in, I’m in! It is not so much the plot or story that draws me in. I’ve read many a great novel in my day that surpasses his. No, what draws me in are his characters and how he masterfully writes so that they are so true to life I not only connect with them, I miss their friendship when the story is finished. Some I have even mourned. Missed yes, mourned yes, but never really wondered what happened to them. So when King said he was publishing a sequel to The Shining because so many fans wondered what ever happened to Danny Torrance, I found it odd. Don’t get me wrong, The Shining remains one of my favorite horror books. Remember the fire hose that unfurled itself from the wall with its wide nozzle looking like a snake’s open mouth and chased Danny down the hall? I work with firemen and to this day (I am 49) whenever I am near a fire engine I stay clear of the hoses. I’ve only read it once, but the story has stuck with me these last 36 years. 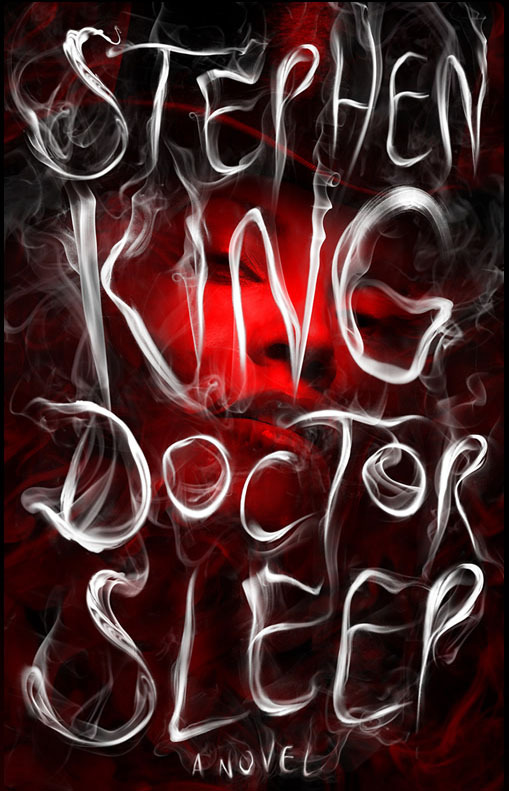 I picked up Dr. Sleep, not because I was curious to see what happened to Danny and his mother, but because I trust Stephen King. If he felt he could revisit with these characters, I felt I could go along with him. A critic said it was better than The Shining. I didn’t think this could be the case, but it did make me a little curious. Could this be true? Amazon shipped the book to my house on Tuesday. Hey, The Shining came by mail, so I thought it only fitting that Dr. Sleep came the same way. No I didn’t take the day off to read it, but I did take a day of so I could get my homework done before I picked it up. Saturday afternoon I got comfy on the couch and read. And read. Only now because of my ‘older” eyes, I put it down after 5 hours. Sunday morning I finished it. No, it is not better than The Shining. If anything, it is a companion to it. I’d say the novels are like two bookends. They are the same, but twisted in opposite directions. In The Shining Jack Torrance lets the demons, both inner and outer get the better of him. In Dr. Sleep, Dan Torrance takes control of both. In The Shining you have a child who has no say or control over the events in his life. In Dr. Sleep you have a child who knows the risks but wants control over her fate. 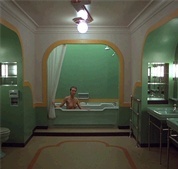 In The Shining you get some imagined horror. In Dr. Sleep the demons inflict real life unmanageable horror on children though thankfully we are spared the gory details. This is no Pet Cemetery or Cujo. King tells you what they do, but never shows you. In Dr. Sleep, Dan Torrance is a man who, like his father before him, finds himself up against a wall. He makes one last-ditch effort to stop drinking and to finally stop running from his past. Dan manages to stop drinking but finds his past has caught up to him. There are many nods and mentions to The Shining, but if you haven’t read it or don’t remember it, you won’t be missing out. However, if you haven’t read Joe Hill’s NOS4A2, then there may be a couple of places that will have you wondering if you’ve missed something. You most certainly will not get the inside joke about the glass ornaments. These winks and nods are for the “Constant Reader”, those of us who are King and Hill’s die hard fans. Was it as good as The Shining? No, but don’t expect it to be. This is not a book that has horror at every turn. Where harmless fire hoses turn to snakes, or rotting women languish in tubs. This is a book about taking control of the horror. Oh wait, I take that back. That damn woman is still around! ! Be careful the next time you pull the shower curtain back. You never know what might be there.